The catalog favorite Nica Libre has always been a discount cigar with an emphasis on its Nicaraguan pedigree. 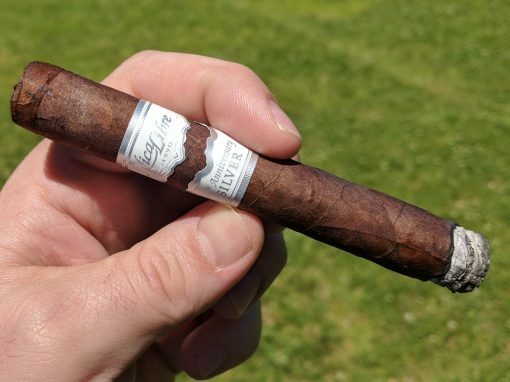 Lately, the line has expanded, including with this 25th Anniversary Silver offering (25 years since the sovereign post-revolution war, not of the Nica Libre brand) made by A.J. Fernandez. I can’t remember the last time I smoked a cigar with this much in-your-face spice right from the beginning. The Nicaraguan puro is dominated by cayenne and black pepper notes, backed up by black coffee and oak flavors. It’s a bit unbalanced, but if you crave spice this is for you.